The Quick Firing 3.7 inch heavy anti-aircraft (HAA) gun was the primary heavy anti-aircraft gun in the Commonwealth during World War II. Production in the UK began in 1938 and the gun was produced in Canada 1943-45 by General Electric. 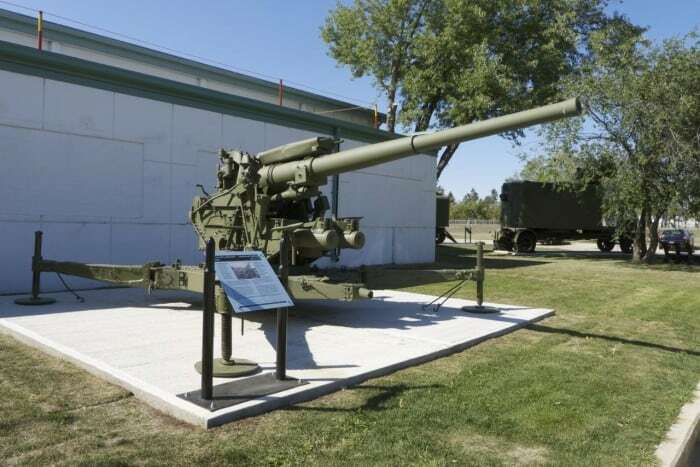 The guns were deployed for defence of Canada as well as with 1st Canadian Army in Europe. The gun was originally designed for visual fire control. Radar was introduced early in the War and greatly increased the effectiveness of the gun when it became possible to transmit data directly to the gunners. The average number of rounds to bring down a V-1 flying bomb in 1944 was 150, compared to 18,500 rounds per enemy aircraft without radar during 1940.